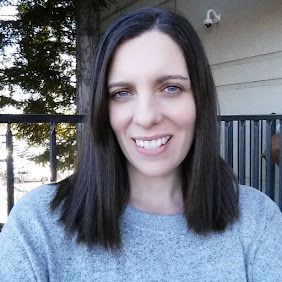 Recently I had the opportunity to review two books from Free Spirit Books. The two books I was sent are Going Blue: A Teen Guide to Saving Our Oceans, Lakes, Rivers, & Wetlands and Too Old for This, Too Young for That! Your Survival Guide for The Middle School Years. Free Spirit sent me an additional set to offer for the Blog Fest giveaway! Going Blue: A Teen Guide to Saving Our Oceans, Lakes, Rivers, & Wetlands is an engaging and colorful guide to encourage teens to be apart of taking care of our oceans and waterways. I have always been a fan Jacques Cousteau so I was excited to see one of the co authors was Philippe Cousteau Sr., his grandson. This book definitely exceeded my expectations. I was impressed by the amount of facts and real life how to for teens. This book is informative and easy to read. It is divided into 5 sections to inform teens and give them ways to act and make a difference. The book is also full of online sources for more information on how to save the oceans with the small steps teens can make such as a website that helps teens learn to make sustainable seafood choices. I know that teens are the future protectors of our oceans and this book encourages teens to evaluate and take action to save the waterways. Pictures can say more to a kid than just a bunch of words so the vividly colorful pictures are perfect for this book to capture the interest of teens. The great thing about this book is it can be read all at once or a little at a time and you still learn so much. This would be great to read first then have your teen read so you can have a book to talk about and make ways to together make a difference. This book would be great to also buy to donate to a local library, a school library and for teachers. You can purchase this book for $14.99 at their website. Too Old for This, Too Young for That! 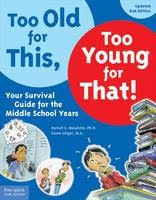 Your Survival Guide for The Middle School Years is a book written for middle school aged children to have a resource in dealing with all the ups and downs of the middle ground between between being a kid and being a teenager. This book was a reminder of how tough it can be to be a adolescent. I know for me I wanted to be able to do teen stuff like shop at the mall and have cool stuff but at the same time I still loved to play barbies with my sister. So it can definitely be an awkward time to be a middle schooler, kids find themselves wanting to be " grown up" but still having attachments to kid stuff. This book guides kids to know they are not alone and their feelings are validated. The book offers practical advice for kids to deal with peer pressure, bullies, body changes and even study and homework tips. The book gives solutions for kids to learn to deal with feelings of frustration, anger, confusion, and learn to be confident with who they are. This book is written for kids but any adult would benefit from reading it first to be able to discuss the topics in the book. It could be a great way to open up dialog with your middle schooler. This book has quotes about situations other kids have been in sharing how they felt in a moment that I think other kids can relate to. An overall good guide for any young kid about to enter middle school. You can purchase this book for $15.99 at their website. Pretty Little Studio is a really cute site that sells all sorts of paper products including flash cards, calendars, paper dolls, vintage cutouts, tags and labels, buntings, jar labels, note cards and more! They are just now offering Christmas items on their site. They have awesome customer service and they take paypal. I purchased a set of Vintage Baby Flashcards that I love, I blogged about it here. For Blog Fest Pretty Little Studio has offered one of my readers a set of Animal ABC's Vintage Flash Cards. These beautiful cards are printed on archival safe card stock with archival safe ink. Water proof, Smudge proof, and Fade resistant. Printed in the U.S.A. You can purchase this set of flash cards for $5.79 here. Now for your chance to win this prize pack of two books from Free Spirit Books and one set of Vintage Flash Cards from Pretty Little Studio. Leave me a comment about a great book you have recently read or read to your child. This counts as your first entry. *Limited to US residents; 18 years old and above. Giveaway starts September 10, 2010 and ends September 12, 2010 at midnight PST. Winner will be emailed and has 48 hours to respond before another winner is selected. I was not paid for this giveaway or post. I was provided a free copy of both the books to review. My son love Peter Pan. We read every night. My oldest and I just read Savvy together. It was so adorable! peytonsmomie at hotmail dot com. Liked Free Spirit on Facebook! I've been a fan of Pretty Little Studio on FB for a long time! I read "Miss Malarkey Leaves No Reader Behind" by Judy Finchler, illustrated by Kevin O'Malley to my nephew over the weekend. My children read on their own (they are 11,16, and 18), so it was a bit of a treat to get to read to him (he's 8 and has Cerebral Palsy). He gets so excited about the stories. I recently read Circus Ship to my children and they loved it. "liked" Pretty little studio on FB! My kids love, love, love to read books!! They love all the Dr. Seuss Books. Their other favorites are "Love You Forever" and "Goodnight Moon". Follow Free Spirit Books via Twitter. A good book my daughter and I recently read together was "The Red Pyramid" by Rick Riordan. Follow Pretty Little Studio via Twitter. I recently read him Pele, King of Soccer by Monica Brown. The Dr. Suess books to my 3 year old little boy next door. My kids love the book Barnyard Dance! My son and I have been reading the "Miffy" books from the Netherlands. I recently read "Her Mother's Diary". I enjoyed it. Thanks for the giveaway! We just read Green Eggs and Ham by Dr Seuss my girls love this book. i just read how do dinosaurs say i love you to my two year old grandson yesterday. I just read The Hunger Games by Suzanne Collins. Fantastic young adult/adult book, can't wait to read the next in trilogy. My youngest fav book is Green Eggs and Ham...I like it too! Count me in (and my favorite read is anything Mark Twain:). Also GFC newbie. . .
And a twitter follower . . .
One of my daughter's favorite is Who Grew Your Soup! Every Friday I read When You Give A Mouse A Cookie to my grandsons. They love it. I've been reading Princess Peepers to some kids, even though they don't wear glasses and it was a hit. We read Goodnight Moon every night!! We are currently reading through the Bearstein Bears books. I just subscribed to GFC. The Boy Who Changed the World was a cute read. +3 I'm a new follower. I just read Dora's Halloween Adventure to my granddaughter this morning. 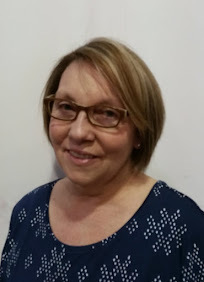 I follow Free Spirit Books on Twitter as BookOwner. I follow Pretty Little Studio on Twitter as BookOwner. I like Free Spirit on Facebook as myself. I like Pretty Little Studio on Facebook as myself. I finished reading ROOM today. Awesome book. Leaping Beauty by Gregory Maguire. #1 I'm a new follower on GFC. #2 I'm a new follower on GFC. #3 I'm a new follower on GFC. My 2nd grade son and I read everyday.. Today we read Boom Chicka Chicka Boom. I love reading my kids the book I See a Monster. I entered to win 250 Business cards! I entered to win Socks & Boots! My little man and I just read Sharks. He loves to be read to. We just started reading Harry Potter as a family. My kids love it! I received a review copy of Jeff Foxworthy's new book Hide!! and my 4 year old loves it! Entered your Busniess card and Sock n' Boots giveaway as well. New follower on GFC, FB and Twitter. My daughter and I are reading Scumble, the sequel to Savvy. I've read the Gaurdian's Of Ga'Hoole: The Capture. My daughter and i read Cinderella all the time.